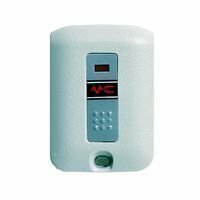 Works with 300, 300MHz Multi-Code Receivers And Replaces The MCS307010 Remote. Uses One Set Of 10 Switches To Set The Code. Includes Manufacturer's 1 year warranty. Programming directions included with your order. This Item Is In Stock It Ships The Next Business Day!